Lace up for our exclusive Women’s Trail Run and celebrate Women’s Month with us. You are in for a splendid morning with an exciting community of female runners. 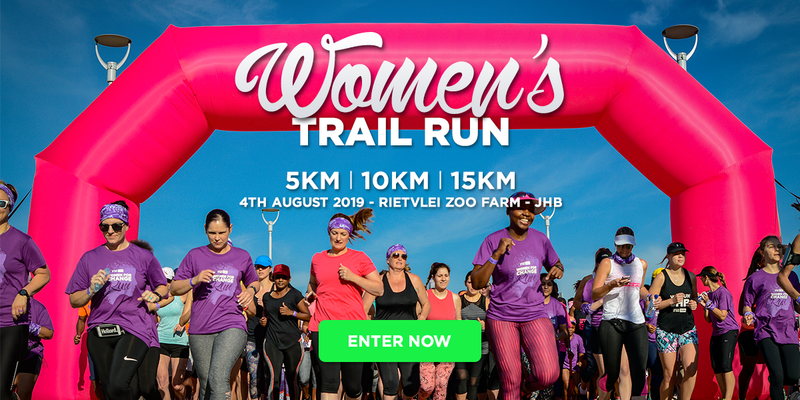 Join us at the beautiful Rietvlei Zoo Farm for a fun 5km, 10km or 15km route. No dogs are allowed, as they will be a large crowd. Please note, this event is for women only! Rietvlei Zoo Farm is a beautiful farm located in the South of Johannesburg, which offers a range of family friendly activities as picnic areas, playgrounds, farm animals. The farm boasts the most tranquil settings, surrounded by natural wetlands.